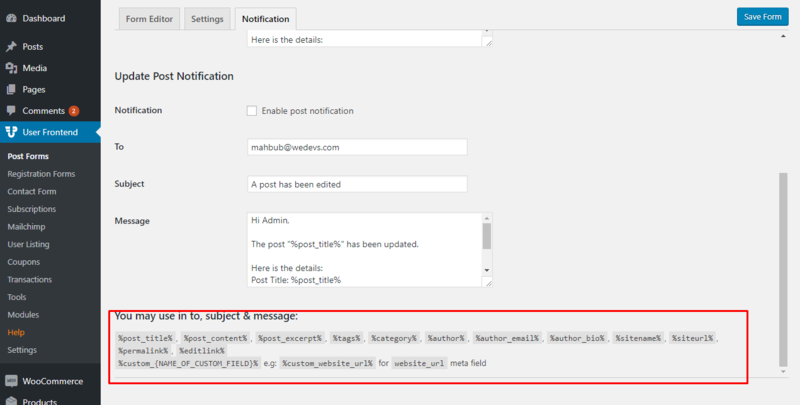 You can easily set up submission email notification in WP User Frontend. First of all login to WP Admin Dashboard → User Frontend → Your Chosen Form → Notifications. Check the Notification box to get the notification when someone posts anything on your website. Fill out the To field with the email where you want to send a notification. By default, it is filled out with the admin’s email. But you can customize it according to your preferred recipient's email. Set the subject of the notification message so that the message recipient can easily understand what the notification message is all about. Type in detail about the notification in this field. 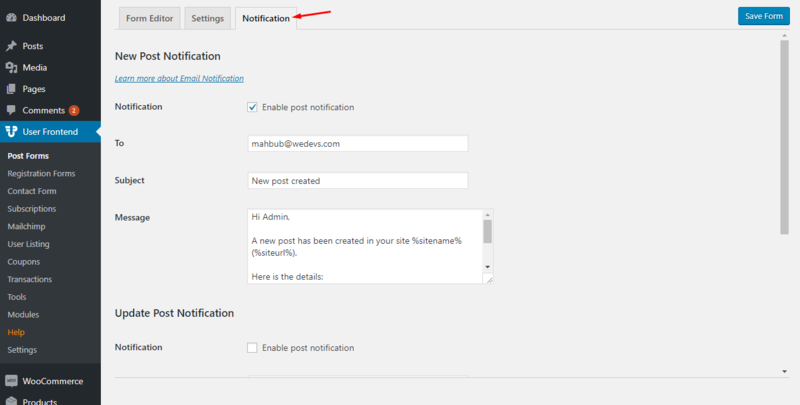 This is the main body of New Post Notification. You will be notified when an author updates a new post. It is almost the same as New Post Notification. The difference is that it deals with the update of an existing post whereas New Post Notification deals with creating a new post.